It is finally here! 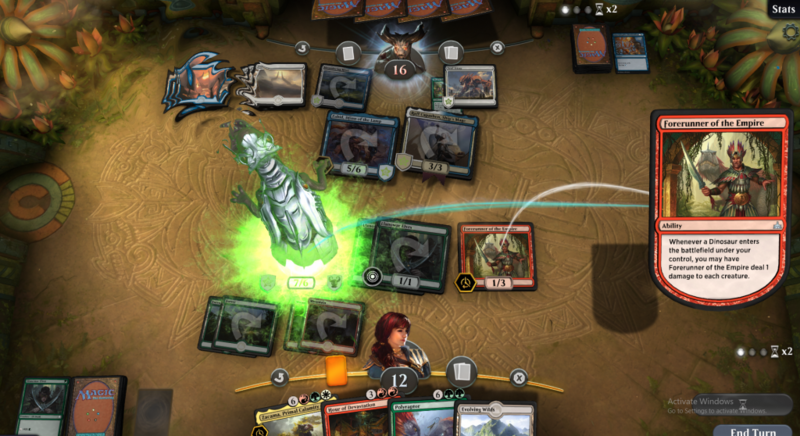 After all those years ruling over the physical realm of trading card games, Magic the Gathering has finally made it’s big digital appearing.It has been a long time coming but MtG finally has something to compete with against Blizzard’s behemot Heartsone. Come to think of it, it is really a shock that it took Wizards of the Coast so much time before bringing the game to the Online world. What’s that? What about Magic the Gathering: Online I hear you ask? Well, they have that too, but that’s for old geesers. Arena is the future! I would like to get something out of the way, as the intro might have come a bit confusing: Arena is a great game! For all the times Wizards have tried to make a PC version of Magic, this is by far their best try. And tried they have, from Mtg: Online, to the mostly single-player Duels of Planeswalkers to even an odd turn-based Heroes of Might and Magic type game and even a bejeweled puzzle. Yet, as big as a phenomenon Magic the Gathering is in the physical world, it never made waves in the digital one. I would go on and say it is because, for a time, Wizards did not realize how profitable it can be. Then Heartsone came and Blizzard(who else, actually) showed the world how much money can be made out of virtual cardboards. And here we are, a few years later, the game that inspired Heartstone draws heavily from it and tries to reinvent itself in the form of Arena. At first glance the similarities are easy to see. When it was revealed, many accused Arena to be just a Heartstone clone, myself included. Something just did not feel right: the shape of the cards, the look of the arenas… it definitely felt like that other game… When I finally got the chance to play Arena, it got rid of these worries quickly and effectively. It did not take me more than a few games to realise: this is Magic, through and through. 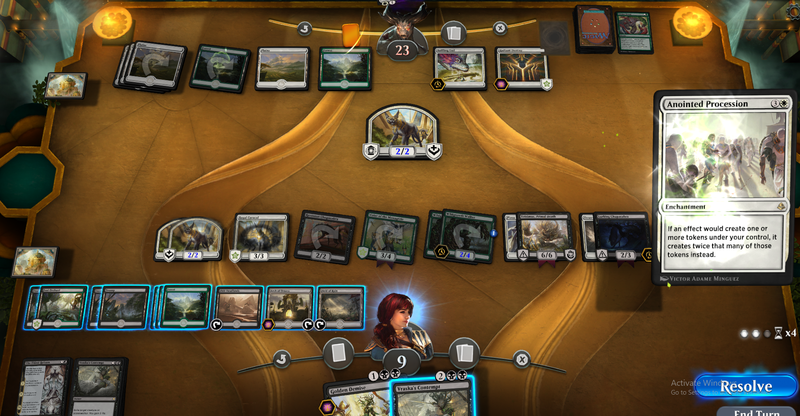 Sure, it looks different, the rectangular cards hurt the eyes at first, the permanents don’t tap on 90 degrees, but the core gameplay, well, as I said, it is Magic. The mechanics of the paper game are here and are intact. I was amazed how well are they actually integrated the game. Anyone that has played Magic knows how messy it can become at times. The main reason is something almost every other modern card game does not dare touching: the ability to play cards at (almost) anytime. Doing stuff at another player’s turn and even when they cast a spell of their own is one of Magic’s biggest allures, but previous digital iterations did not transferred in the most fluid of ways. Here, is as smooth as butter and I have no doubt even newcomers will quickly learn when and what they can play as well as the basic concept of the spell stack. With default settings on, the game will give you priority everytime you can respond with a spell or ability and those will be highlighted. The reads are clear and easy to see and what can be done in the certain situation. In addition, you can always put a manual stop on a specific phase in the turn if you have something particular in mind. More experienced players will want to switch to full control, manually responding to each of the opponent’s actions as when using the game’s auto feature can give away what you have or don’t have in hand. For example, a player can cast a smaller creature to bait a counter spell. If the spell instantly resolves that would mean that the opponent does not have a response in hand and the coast is clear. If you use a manual mode instead the few seconds delay could bluff the opponent into thinking that you do have a counterspell, but have decided to save it for a more serious threat. Overall, the new design is solid and help smooth out the game more than anything. Every element in a game is easy to read and understand, every action easy to perform. What’s more interesting, it seems perfect for mobile gaming. 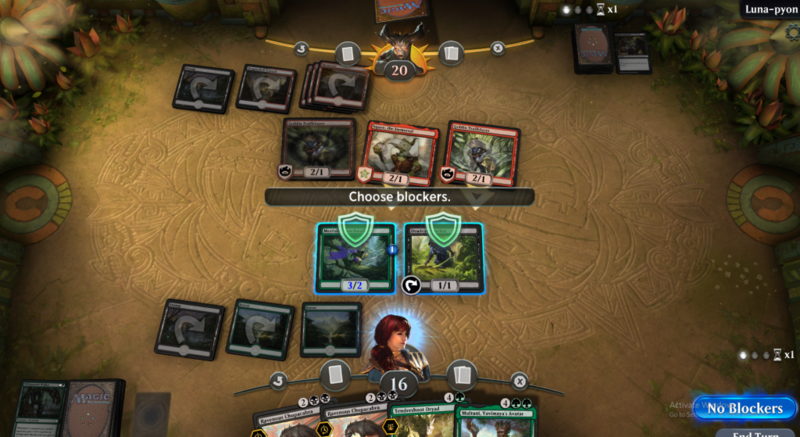 I doubt anyone has ever dreamed of playing MtG: Online on their phone, but playing Arena, now that’s something that’s definitely in my wishlist. 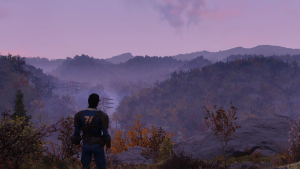 In terms of features the game is pretty barebones at the moment.There is no tutorial, no custom games. Also forget about friends lists or any type of lobby chat. There are only 3 game types: Ranked, Quick Constructed and Quick Draft(quick as you play best of 1). Given the current card pool and Wizards’ statement that cards from older sets will not be added, at least not for now, the only other mode we can expect is Brawl. Of course, as the sets rotate, a form of a legacy mode will surely be added. I’m curious to see whether this mode will be limited to Arena only, or will it be introduced to regular Magic as well. Given how Frontier exploded for a time, a format that can help players transition from Standard into Modern will not be unwelcome. Let’s talk cards and economy and, boy that’s a tough one. Arena has quite the interesting economy, in sense that it does not have any. There is no trading, you cannot purchase singles, neither is there the popular “dusting” of unwanted cards. The only way to acquire new tools for your decks is to buy packs. Packs can be bought either with the “free” currency(gold) or by paying for crystals which then can be used for shopping new boosters or entering tournaments. If you do not want to cough out real cash the game is moderately generous in giving out boosters. Essentially, if you play every day, you should be able to get 1 booster per day and if you add the free boosters rewarded for winning you can get around 40 boosters per month and this number can be higher if you win tournaments. There are two inclusions to the whole booster game, which I would call quite ingenious. One are the wildcards. These cards are essentially what you are looking for in a booster, as they can be traded for any cards you want of the same rarity. As anyone who has ever opened any kind of boosters will know, trying to fill a collection by cracking packs is fool’s gold as there are too many cards and you usually need four of each for your deck. Wildcards are excellent solution as you otherwise will seldom get what you want. The other new mechanic is The vault. It becomes available after opening certain amount of packs. Opening a card you have more than four copies of also adds to the vault’s progress so the more boosters you open, the better. The vault contains hefty rewards, usually in the form of wildcards, which, as mentioned, is the best kind of reward in Arena. While wildcards are a great mechanic, there are issues with this kind of economy looming over Arena like an Eldrazi titan. As many have pointed out, not having control of the cards you get means that all cards are equal in terms of price, but not in terms of power. This means that most players will tend to spend their wildcards on cards that are known to be powerful and build decks that are popular. Let me give you an example: I opened a card called New Perspectives. Back when Amonket was released there was a combo deck using this card that was pretty fun to play and was able to steal wins here and there. 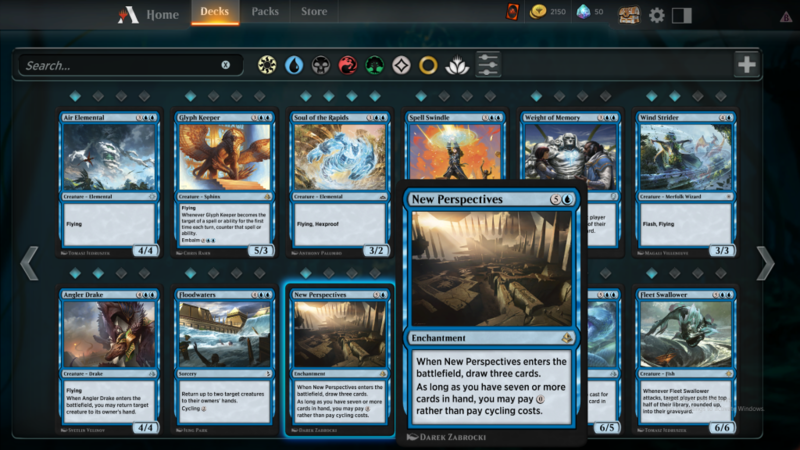 If I want to build this deck, though, I will need three more copies of New Perspectives as the deck revolves around it. I would also need cycling rare lands and board sweepers, a few copies of Drake Haven as well, maybe. Assuming that I have twelve gold wildcards to spend(I don’t) is there any guarantee the deck will work in Arena’s meta? Of course not. So there is a solid risk I’ll spend time and money building a deck that will simply be crushed. If that happens I will be stuck with a handful of copies of rare cards that I don’t have anything to do with. So given this scenario, which is better: a set of New Perspectives or a set of Vraska’s Contempt, a card that is known to be Standard allstar? There are smart improvisations you can see while playing against other people, that is to be sure, but most of them are needed in order to compensate for missing cards. I really hope there will be more ways to get specific cards added in the future. As it stands now the current “economy” is just a cop out and Wizards are as unwilling to try handling the single cards stocks as they are in the “real life”. In conclusion, though Arena has a long way to go, I would definitely recommend playing it. If you haven’t played Magic before, but have been thinking of trying the game out, this is your perfect chance. The card pool is not that overwhelming at the moment and the meta is mostly agro. This combined with the intuitive design makes it perfect for newcomers. As for experienced players, Arena can provide a nice shot of your so needed dose of Magic and with enough smarts you can play it for free. Still, it is the older players that will notice and will be troubled by some of the unusual decisions and in some cases unwanted simplifications. 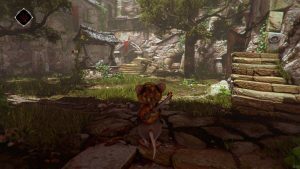 It is still unclear how much of an effect said decisions will have on the game going forward. Who knows, maybe they are for the better. If you allow me to paraphrase: we will live, we will play Magic, we will see.